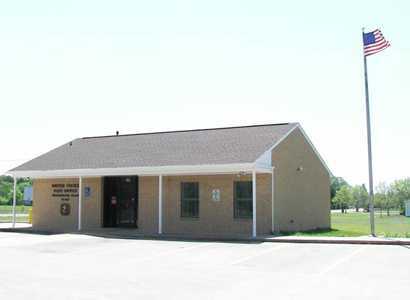 Originally called Seven Points after it was established around 1860, it merged with neighboring Prospect and Graybill Texas in the 1880s. In the 1890s the Methodist Church established Westminster College for training ministers. The name was after Westminster, Maryland. Within a year Seven Points citizens decided to change the name. In 1899 a post office opened. Westminster served as a cotton market through the 1920s when the population was estimated to be around 600. 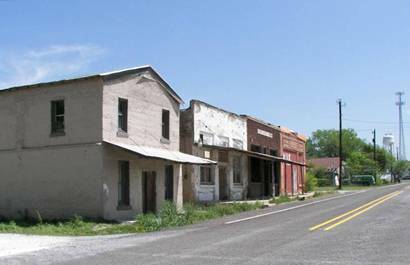 The town was bypassed by railroads and during the Great Depression the population dropped to less than 300. After WWII Dallas drew off population, leaving less than 200 people. It has slowly increased to the current estimate of 390. Westminster was hit by a tornado in April of 2006. 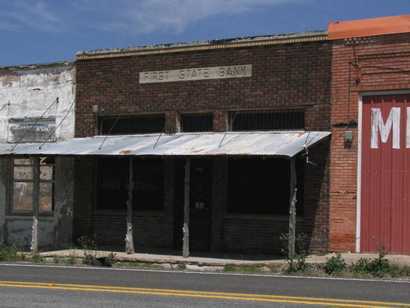 First State Bank, once "the only grocery in town"
Dear TE, Prior to 1928 my mother, Ruby Lee McFerrin (Hall) worked in the 1st National Bank in Westminister. The head of the bank was Mr. Procter. After the bank closed my grandfather, Claude McFerrin, moved his grocery store from the other side of the square to the bank building. 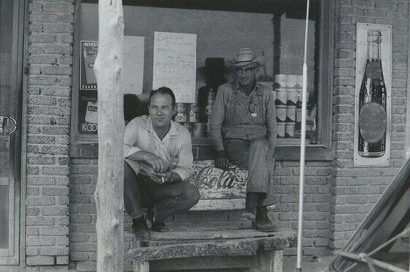 He continued to operate the store until the early 1950's. He sold the store to his brother-in-law Francis Sellars and wife Jennie. In the 1920's Westminister was a thriving community. On the east side of the square there was a general merchandise store on the 1st floor. 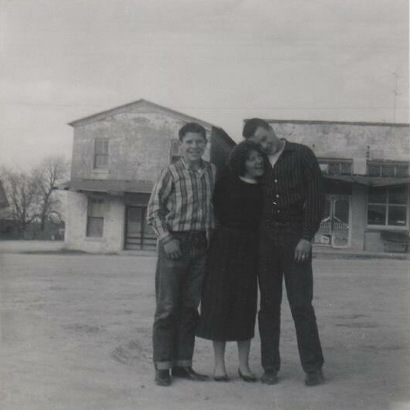 The barbershop was in the same building as the general merchandise store and also served as a meeting place for local musicians. Next to the barbershop Rob McCarley had a grocery store. The entire 2nd floor was one big open room that served as a basketball court. My uncle, Choice McFerrin loved to play basketball there. On the west side of the bank was a café that did not fare well. On the other side of the bank was a drug store with a licensed pharmacist. 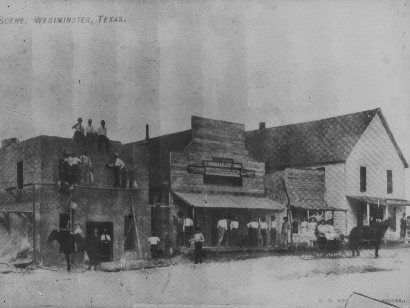 On the west side of the square was a casket sales store, next to that was the post office, and on the corner was Griffin's Store. The post master was Mr. John Easton. The next post master was named Griffin.